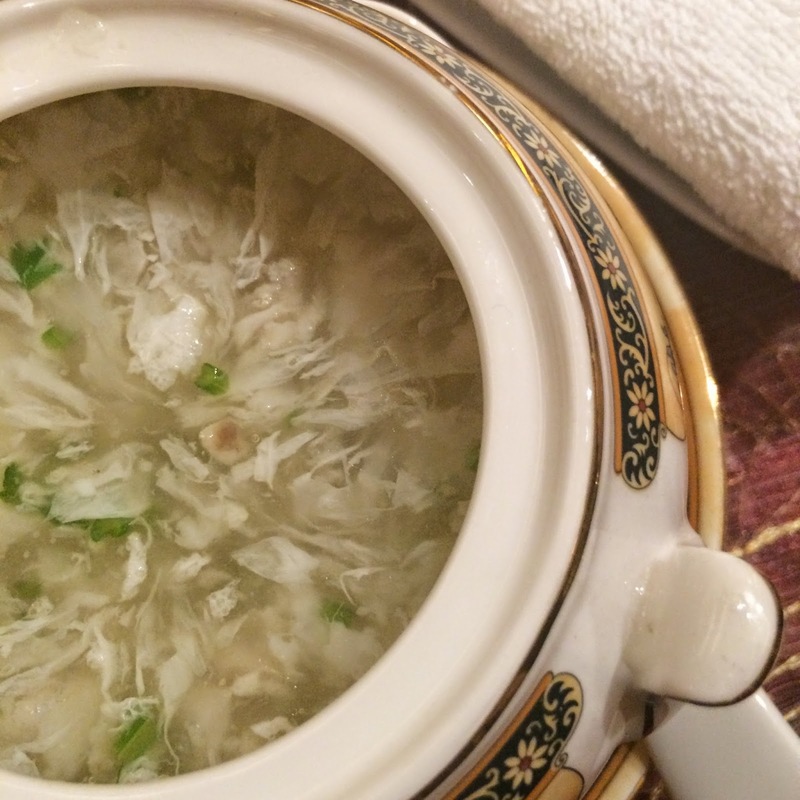 For the next week, Shang Palace at Makati Shangri-la will be having a special promo, which I got to try last week. I love Chinese food, but being from Manila and only going to Hong Kong and never having been to mainland China, I think I've only really had Cantonese Cuisine, so this was something familiar but still a little different for me. Up there is the Clove Pork Ribs, my favorite out of the 8 courses. I'm not usually a big pork eater, but these were super (sorry for the cliche) fall-of-the-bone tender with a thick, mildly sweet sauce. If I was not at a hotel, I would have picked them up with my hands and devoured accordingly, but I decided to be a civilized adult and use utensils. I realized that Shanghai style food is very simple, but complex at the same time. There's nothing complicated about it, and yet it's extremely satisfying. These two dishes- the Yellow Croaker Soup and this Grouper with wine sauce was so comforting and something I felt I will keep looking for over and over again. The taste is clean but earthy and nothing felt too heavy. I did not feel the way I do after the usual Chinese meal- bloated and ready to pass out. Instead, I went straight back to the office, did a few interviews and had a meeting and I was completely fine. Shanghai appetizers are different from what we're used to when we say Chinese food. There is no char siu pork, jelly fish and century eggs or cold soy chicken. Instead we had pig ears ( shaped like actual pig ears so don't expect a chopped up sisig-like dish!) a pumpkin dish with a sweet syrup and steamed shrimp.